Prince Siddharta was born as the son of a royal family in India over 2500 years ago. As a youth, he enjoyed all the pleasures of the nobility. At the age of twenty-eight he ventured beyond the confines of his privileged life at the palace and for the first time he fathomed the suffering of human existence in terms of aging, sickness, and death. Moved by compassion for the plight of others, and recognizing that he, too, would have to face such suffering, he renounced his life of luxury and devoted himself to the quest for ultimate liberation from suffering and its source. While sitting under the Bodhi Tree he reached the state of perfect enlightenment, in which he was freed from all mental afflictions, and all virtues were brought to fulfillment. The Prince became the Buddha Shakyamuni. Thereafter, he dedicated himself completely to serving the needs of others by teaching the true causes of suffering and the path to Liberation and Enlightenment. 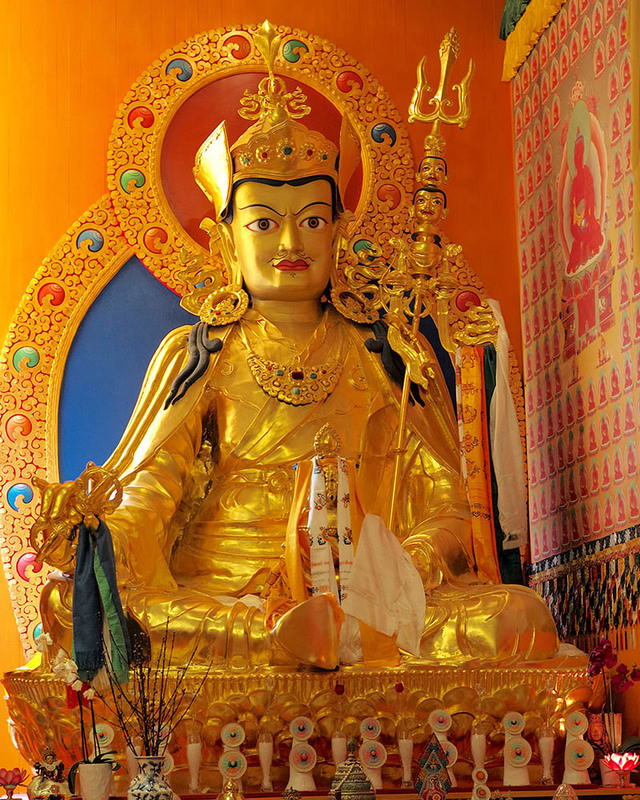 Padmasambhava, also known as Guru Rinpoche, or Precious Teacher, is considered to be a direct emanation of the Buddha. In the eighth century he took a crucial role in bringing Buddhism from India into Tibet. At that time King Trisong Deutsen of Tibet was encountering many obstacles in fulfilling his wish to establish Buddhism in his country. Hearing of the great spiritual power of the Indian master Padmasambhava, he invited him to Tibet, and there Guru Rinpoche subdued and transformed the harmful influences that were obstructing the flourishing of Buddhism. Thereafter, Guru Rinpoche and his main disciple and spiritual companion, Lady Yeshe Tsogyal, traveled throughout Tibet and taught the esoteric theories and practices of Vajrayana Buddhism, whereby one can attain enlightenment in one lifetime. This tradition of spiritual practice has been passed on in an unbroken lineage from realized teacher to disciple until the present day. 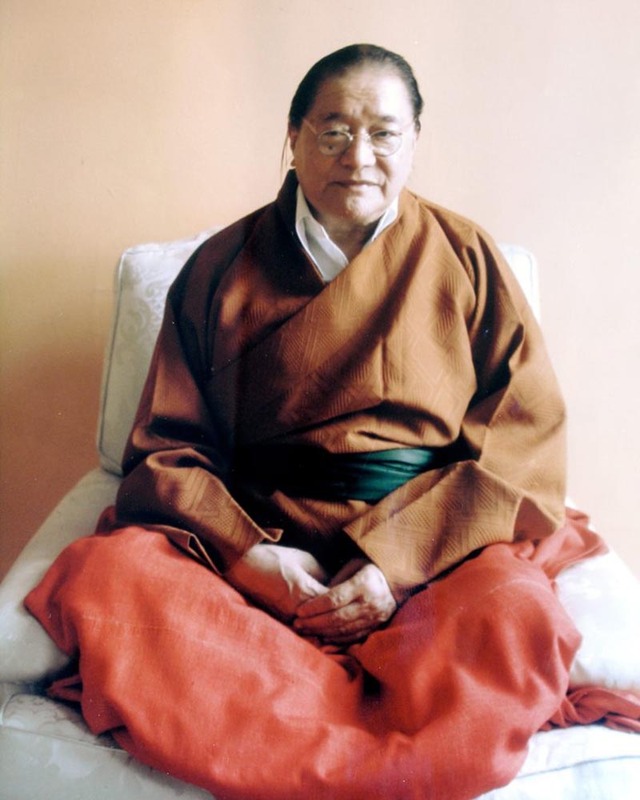 His Holiness Dudjom Rinpoche (1904-1987) was an incarnation of one of Guru Rinpoche’s original twenty-five disciples and is considered one of the greatest Buddhist meditation masters, scholars, and poets of this century. His Holiness was the Supreme Head of the Nyingma Tradition of Tibetan Buddhism, which traces back to Padmasambhava. 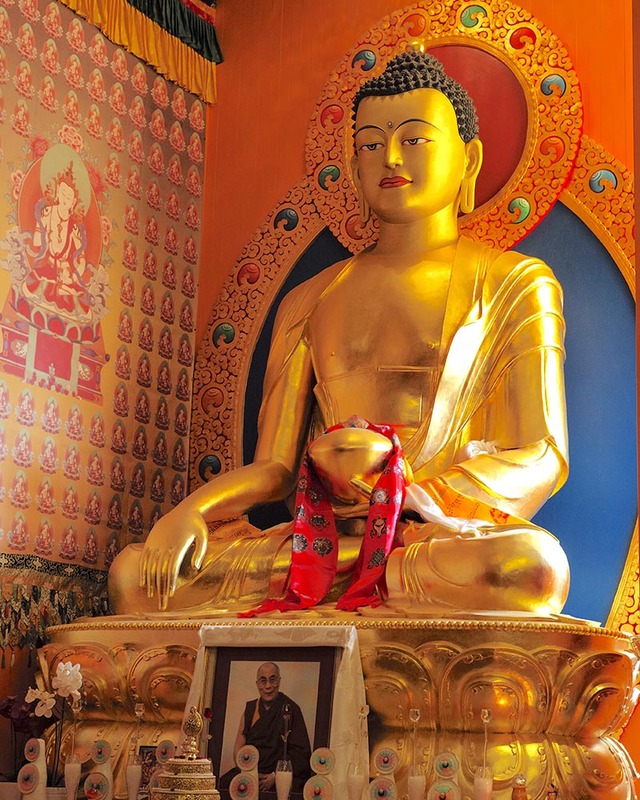 As the founder of numerous Yeshe Nyingpo meditation centers, his activities were extensive, bridging cultures and embodying centuries of wisdom. His Holiness was a prolific scholar and a Terton, or spiritual treasure revealer, responsible for bringing forth many prayers, unique for their potency and beauty, and particularly beneficial for our time. His reincarnation, born in 1991, has been formally recognized by the H. H. the Dalai Lama. The power of his aspiration is such that his emanations benefit beings whenever circumstances are right. 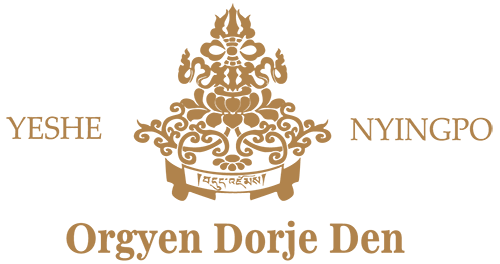 For a more extensive view of His Holiness’ biography and writings, please click here.